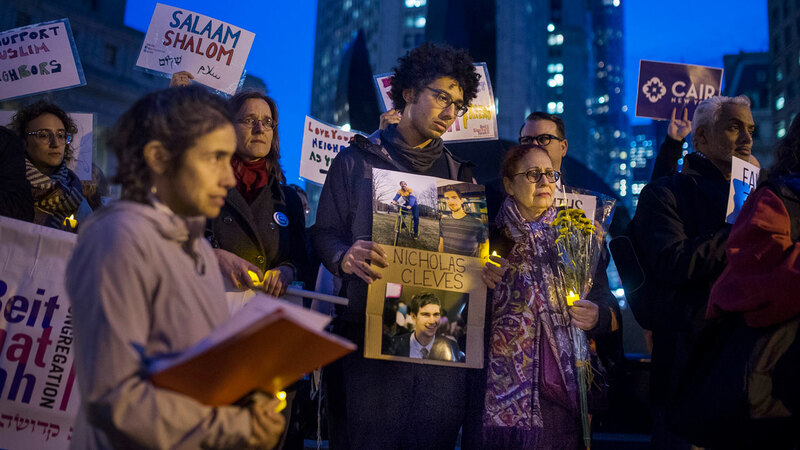 LOWER MANHATTAN (WABC) -- A vigil and memorial march were held Thursday night to remember the eight victims of Tuesday's bike path attack. About 100 people gathered with candles along the Hudson River for the event that started at Pier 40 on Manhattan's west side and ended at Pier 25. They walked the path from the entrance where the terror suspect began his rampage and drove for almost a mile before crashing into a school bus. "It's just a reminder, for every horrible person, there's thousands and thousands of good people who really care out there," said Jessica Eckardt, 22, a dancer who lives in the city's West Village neighborhood. "The sense of community is so important right now." Mike Novogratz, chairman of the board of Hudson River Park Friends, which organized the event, said the impetus to do the vigil came from board members, including one who was a neighbor of one the victims who was killed. He said the goal was to remember those who were lost, as well as reclaim the outdoor area from violence. "It could have been any of us," he said of those who were killed. "We're not going to let a terrorist, a crazy man, ruin the space." Carrie Bertuccio, who lives in nearby Battery Park City, came with her two boys, Luca, 8 and Matthew, 6. Five of the victims were part of a larger, close-knit group of friends who had graduated together from a school in Argentina in 1987. The overall group of 10, most of them working as architects, regularly got together. During this trip, they were supposed to tour through Boston and New York. They had been riding their bicycles when they were hit. Those killed included Hernan Diego Mendoza, Ariel Erlij, Diego Enrique Angelini, Alejandro Damian Pagnucco and Hernan Ferruchi.